Grammy Award-winning singer to help kick off run for gov. Musician Tracy Chapman performs on stage during 'Make A Difference Today' event hosted by Habitat for Humanity at Humanity Plaza September 26, 2005 in New York City. While he has already told everyone he wants to be the state's next governor, Mayor Gavin Newsom will officially launch his campaign Thursday night with a big kickoff event. 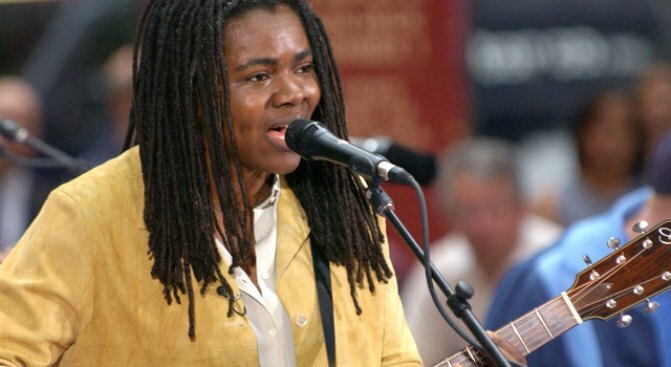 Four-time Grammy winner Tracy Chapman will join Newsom at the Palace Hotel for the fundraiser that the camp is calling a "New Direction for California." Chapman will sing several songs for guests -- who will paid $500 for a ticket to the fundraiser.